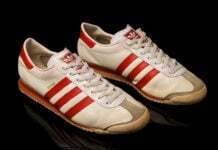 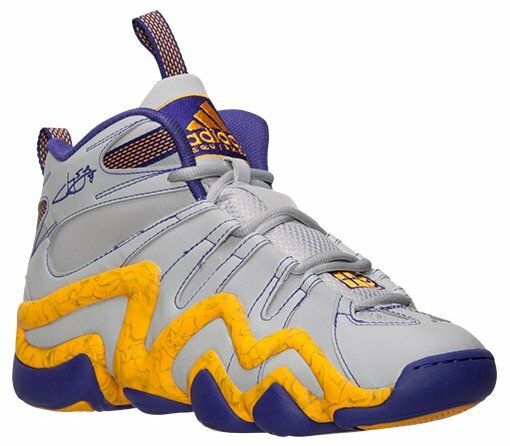 The Crazy 8 is a staple for once known as a basketball performance shoe turned lifestyle by adidas. 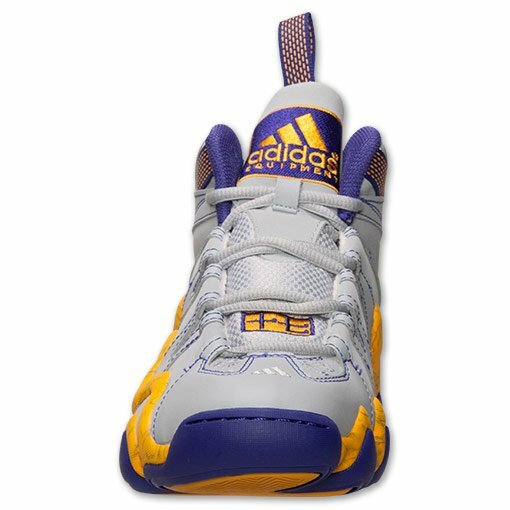 Closely linked to Kobe Bryant, the shoe has been adopted by Lakers point guard Jeremy Lin. 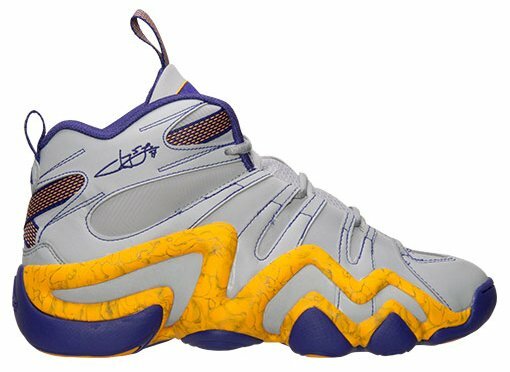 We recently showed you a pair that was for Lin’s playing time for the Houston Rockets and now the brand dropped the Lakers theme. 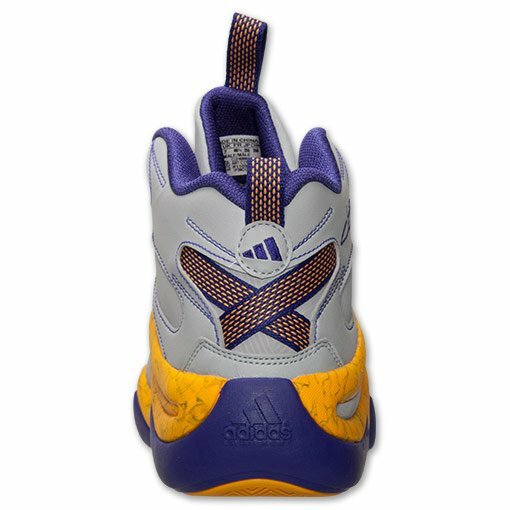 The Lakers adidas Crazy 8 for Jeremy Lin features a mixture of leather and synthetic grey on the uppers. 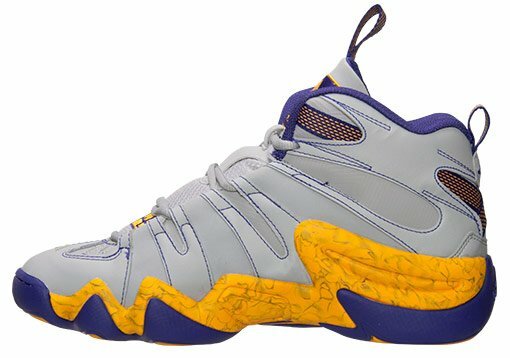 This somewhat dull look allows the purple on the outsole and yellow detailing the midsole really pop out. 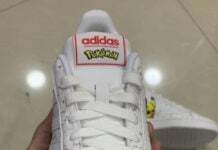 Of course the two colors are used throughout the uppers, but the sole/midsole area really stands out. 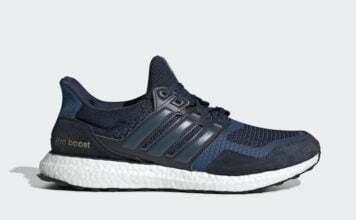 Now available at FinishLine for $109.99.